Claus is a process-oriented therapist based in Auckland, New Zealand where he works in private practice. A group facilitator, supervisor and teacher on the Australian/New Zealand Process Work faculty, he also travels and teaches Process-oriented Psychology internationally. Originally trained in Germany where he worked as a lecturer in Social Science, he now combines his love of philosophy with his passion for nature, art, dance, meditation, lucid dreaming and travelling. 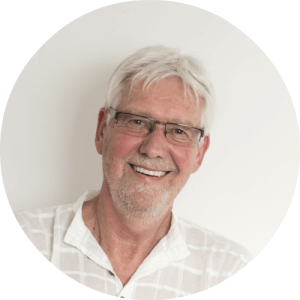 A student of Tai Chi and Taoism for over 35 years, Claus incorporates what he considers the essence of these teachings into his counselling and facilitation work. His creative approach to therapy is reflected in his working space; a cornucopia of colours, books, paints, masks, swords, musical instruments and other sources of inspiration.